Take a break from the city and head to Nairobi National Park and Giraffe Centre. Spend the 14th (Wed) spotting exotic species with a safari tour. There's still lots to do: tour the pleasant surroundings at David Sheldrick Wildlife Trust, have some family-friendly fun at GP Karting, contemplate the long history of Karen Blixen Coffee Garden and Cottages, and examine the collection at Karen Blixen Museum. To see traveler tips, photos, and tourist information, refer to the Nairobi holiday planning website . London, UK to Nairobi is an approximately 13-hour combination of flight and bus. You can also fly. Due to the time zone difference, you'll lose 3 hours traveling from London to Nairobi. Expect a daytime high around 27°C in August, and nighttime lows around 16°C. Wrap up your sightseeing on the 16th (Fri) to allow time to travel to Arusha. Step off the beaten path and head to Nature & Wildlife Tours and Kayaking & Canoeing. Get outdoors at Ngurdoto Crater and Climbing Tours. The adventure continues: look for gifts at Isle of Gems. To see other places to visit, traveler tips, photos, and other tourist information, go to the Arusha driving holiday planning tool . You can do a combination of flight and taxi from Nairobi to Arusha in 3 hours. Other options are to drive; or fly. In August, plan for daily highs up to 27°C, and evening lows to 17°C. Finish up your sightseeing early on the 19th (Mon) so you can travel to Nkhata Bay. Nkhata Bay or just Nkhata is the capital of the Nkhata Bay District in Malawi. Start off your visit on the 20th (Tue): stroll through Kande Beach. Start your trip to Nkhata Bay by creating a personalized itinerary on Inspirock. Drive from Arusha to Nkhata Bay in 22.5 hours. Alternatively, you can fly. You'll gain 1 hour traveling from Arusha to Nkhata Bay due to the time zone difference. Traveling from Arusha in August, things will get little chillier in Nkhata Bay: highs are around 22°C and lows about 12°C. On the 20th (Tue), wrap the sightseeing up by early afternoon so you can travel to Beira. 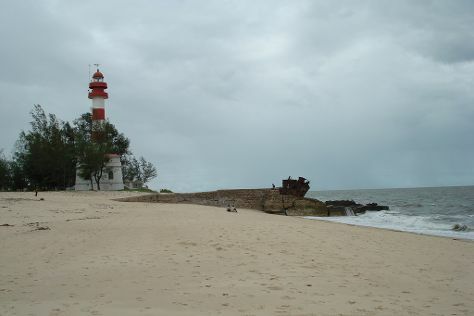 Beira is the third largest city in Mozambique. On the 21st (Wed), pause for some serene contemplation at Beira Cathedral and then visit a coastal fixture at Macuti Lighthouse and Shipwreck. To see photos, traveler tips, where to stay, and more tourist information, go to the Beira vacation planner. Drive from Nkhata Bay to Beira in 19 hours. Alternatively, you can fly. Expect a bit warmer temperatures when traveling from Nkhata Bay in August; daily highs in Beira reach 30°C and lows reach 21°C. Wrap up your sightseeing by early afternoon on the 21st (Wed) to allow time for travel to Maputo. Kick off your visit on the 22nd (Thu): get the lay of the land with Walking tours, kick back and relax at Praia da Costa do Sol, then contemplate in the serene atmosphere at Paroquia Santo Antonio, and finally don't miss a visit to Praca Independence Praça da Independência. To find more things to do, photos, traveler tips, and more tourist information, read Maputo road trip app . You can fly from Beira to Maputo in 2 hours. Alternatively, you can take a bus; or drive. Plan for slightly colder nights when traveling from Beira in August since evenings lows in Maputo dip to 17°C. Wrap up your sightseeing on the 22nd (Thu) early enough to drive to Malkerns. Kick off your visit on the 23rd (Fri): tour the pleasant surroundings at Mantenga Nature Reserve, then contemplate the long history of Mantenga Cultural Village, then grab your bike and head to Mlilwane Wildlife Sanctuary, and finally stop by Amarasti. To find photos, traveler tips, where to stay, and more tourist information, read Malkerns road trip app . Getting from Maputo to Malkerns by car takes about 3 hours. Other options: do a combination of train and car. Traveling from Maputo in August, things will get little chillier in Malkerns: highs are around 27°C and lows about 11°C. Finish your sightseeing early on the 23rd (Fri) so you can drive to Johannesburg. 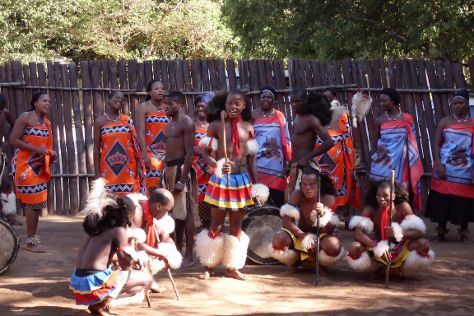 Step off the beaten path and head to Ukutula Lion Park and Amatuli Artefacts. Constitution Hill and Mandela House will appeal to history buffs. Venture out of the city with trips to Ann van Dyk Cheetah Centre (in Brits), Union Buildings (in Pretoria) and Sterkfontein Cave (in Cradle of Humankind World Heritage Site). Spend the 25th (Sun) spotting exotic species with a safari tour. The adventure continues: see the interesting displays at Apartheid Museum and have fun at RollEgoli. For where to stay, photos, traveler tips, and more tourist information, read our Johannesburg online trip maker . You can drive from Malkerns to Johannesburg in 5 hours. Alternatively, you can take a shuttle; or do a combination of car and bus. Traveling from Malkerns in August, plan for a bit cooler nights in Johannesburg, with lows around 7°C. On the 28th (Wed), you'll travel back home.